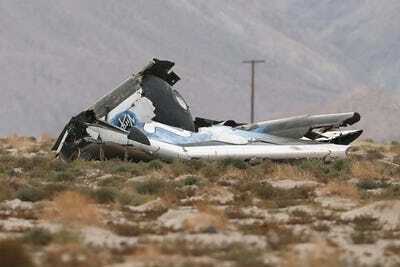 REUTERS/Lucy NicholsonSpaceShipTwo after it crashed in the Mojave Desert. The surviving pilot of Virgin Galactic SpaceShipTwo was thrown from the rocket-powered vehicle when it broke apart last month, and he was able to unbuckle from his seat before his parachute deployed automatically, U.S. officials said on Wednesday. The National Transportation Safety Board, which is investigating the Oct. 31 crash in Southern California, also said the pilot, Peter Siebold, was unaware that his co-pilot had unlocked the craft’s moveable tail section, which appears to have set off a chain of events that led to ship’s destruction. His co-pilot, Mike Alsbury, was killed in the crash. The safety agency’s latest findings come after its investigators interviewed Siebold on Friday. Siebold, 43, was released from a hospital days after suffering a shoulder injury in the crash. “He stated that he was extracted from the vehicle as a result of the break-up sequence and unbuckled from his seat at some point before the parachute deployed automatically,” the NTSB said in a statement. 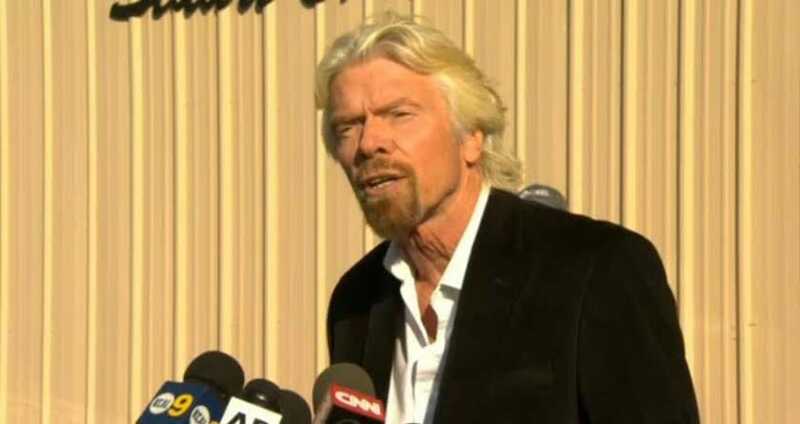 Screenshot/NBCSir Richard Branson speaking at a press conference after the crash. An NTSB spokesman said in an email that Siebold unbuckled himself during his fall. SpaceShipTwo broke apart at an altitude of about 50,000 feet (15,000 meters) and crashed in the Mojave Desert, 95 miles (150 km) north of Los Angeles, moments after its separation from the special jet aircraft that carries the spacecraft aloft for its high-altitude launches. NTSB officials have previously said Alsbury, flying for the ninth time aboard SpaceShipTwo, unlocked the tail section which is designed to pivot upward during atmospheric re-entry to ease descent of the craft. 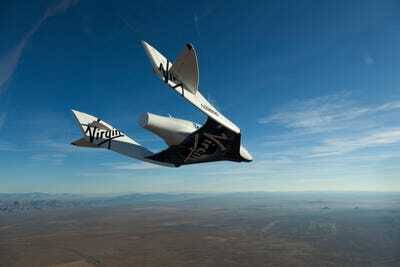 Virgin GalacticSpaceShipTwo during glide flight. Alsbury was supposed to have waited until the ship was travelling at 1.4 times the speed of sound, fast enough for aerodynamic forces to hold the tail in place until time to actually move it into descent position, sources familiar with the spacecraft’s operation have told Reuters. The findings released by the NTSB on Wednesday represent only an update on their investigation. Officials from the agency say it could take about a year to piece together exactly what triggered the accident.